*Unbeatable prices *Honest Advice *Next Day Delivery *Fast Delivery and Set Up in the home *Best Price Guarantee. We’ll beat any genuine online price! There really is no reason to shop anywhere else! 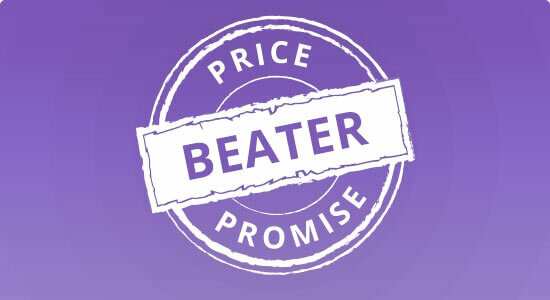 We believe our prices are unbeatable, however, if you can prove us wrong, we guarantee to beat it! We understand the importance of aids for the elderly, which is why our range features a diverse and versatile selection of hospital beds, which can be accompanied by hospital bed mattresses too. Not only are they used in hospitals across the nation, but you can find them in residential homes and domestic homes. Our selection features - electric adjustable beds, low profile beds, rotating chair beds and bariatric beds. We really do have a hospital bed to suit anyone and their requirements. Shelden Healthcare specialise in high quality, affordable aids for the elderly and disability aids to help with everyday activities. With a range of mobility equipment designed to enhance living, it ultimately increases independence, dignity and freedom. We cater to all types of individuals who require aids for daily living – from bathing, showering and toileting aids to wheelchairs, seating and mobility aids. Are you searching for shower chairs, hospital beds, commodes, wheelchairs or even bariatric equipment to suit large patients? Don’t worry, you’re in the right place. We stock some of the most well-known brands, featuring Invacare, Alerta Medical, Unihoist, Roma Medical and lots more. Browse our aids for the elderly and disability living aids today, and if you require further assistance on choosing the right hospital bed, or mobility rollator for example, please give us a call. At Shelden Healthcare we have over 13 years’ trading experience and an extensive history of supplying the NHS, private care homes and the private individual in their own home. We have an ISO9001:2008 accreditation, and we are also members of the British Healthcare Trades Association; giving customers confidence in the services that we offer. Our values are evident for all who engage with us. So, whether you’re a customer, supplier or within our internal team, you will always be treated in line with our active set of ethics and principles. To read more about our principles, visit our about us page.